What are the Mountain Bike World Championships? Taking place in Lenzerheide, Switzerland between 5-9 September, mountain bikers battle it out to become the world’s best in the downhill and cross-country disciplines. BBC Sport will bring you live coverage of the weekend’s elite cross-country races on Saturday and the elite downhill races on Sunday. 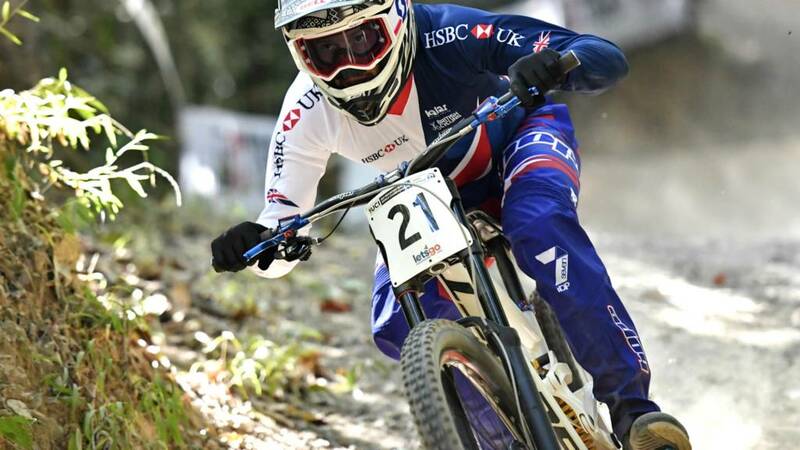 Ten British downhill riders are taking part: Rachel Atherton, Katy Curd and Tahnee Seagrave in the women's race and Phil Atwill, Adam Brayton, Laurie Greenland, Danny Hart, Michael Jones, Matt Walker and Reece Wilson in the men's race. Video caption: See a rider's view of the downhill circuit at the World Championships.See a rider's view of the downhill circuit at the World Championships. Approximately two million people in Britain cycle at least once a week, and there are more than 80,000 members of cycling clubs. There are four main mountain bike disciplines, with the downhill and 4-cross requiring nerve, fitness and great bike control as competitors hurtle down hazard-strewn tracks. The cross-country - which is used in the Olympics - and enduro/marathon put the emphasis more on sheer physical fitness. You can read more about Mountain Biking here.